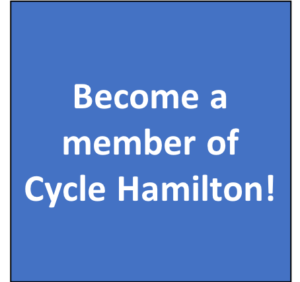 ← Limited Time Offer: Discounted Membership & Greg’s Ride Registration! Wow, Paul Fromm is ignorant oblivious. Has he ever heard of a country called Netherlands and seen the biking infrastructure in such major cities as Amersterdam, Copenhagen. Is there a reason Fred Eisenberger did not respond? I’m pretty disappointed in a lot of the responses.